The current ANS featured article addresses a social/cultural and health issue that has engaged intense discussion in many circles for a number of years – the issue of genital cutting. The article is titled “A Decolonizing Methodology for Health Research on Female Genital Cutting,” authored by Jane Werunga, MSN, RN; Sheryl Reimer-Kirkham, PhD, RN and Carol Ewashen, PhD, RN, and it is available for free download on the ANS website while it is featured. We invite you to download your copy of this article and return here to participate in discussion of ideas and issues addressed here. Reimer-Kirkham in my quest to understand alternative methodologies for researching marginalized populations. Coming from a non-research background, I had very little knowledge on the multiple theories and methodologies that guide contemporary health research, but I understood that a fitting methodology would need to be sufficient enough to cover the complexity of the topic that I was proposing, which was research on African immigrant and refugee women and girls who have experienced female genital cutting (FGC). socio-political and cultural structures that inform their health and health seeking behaviors. When I embarked on my doctoral research on FGC, I quickly realized that I could not locate this study within mainstream methodologies given the complexity of the issues therein. I needed a multifactorial approach that could fully capture the many forces at play. Critical decolonizing perspectives offer this alternative, and this article is an initial attempt to curve out an innovative methodology that combines several critical perspectives including African feminism, in an effort to reconceptualize FGC research in a new cultural dispensation. Critical perspectives disrupt commonplace pathologizing, criminalizing, and demonizing discourses, as reflected in the shift in language from “female genital mutilation” to “female genital cutting”. the areas of culture, equity, and health (http://twu.ca/directory/faculty/sheryl-reimer-kirkham.html) will no doubt be invaluable as I map out a rigorous and scientifically valid method that reflects the complexities of the experiences of affected women and girls. The endpoint of my research is the provision of socially just, relevant, timely, and equitable nursing and other health care services to marginalized populations. 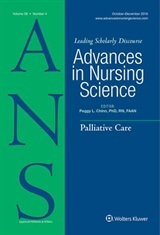 We appreciate the opportunity to share our developing ideas in this area of nursing research. Your message about FGC is well thought out and formatted. It shows that the subject matter is complex, but structured, and reliable. I like the fact you spoke about the need of more education around the changes. Your passion is shown in your message.